A delusional human is one who is convinced of some deceptive concept and/or illogical belief and actively defends it as if it were the truth. 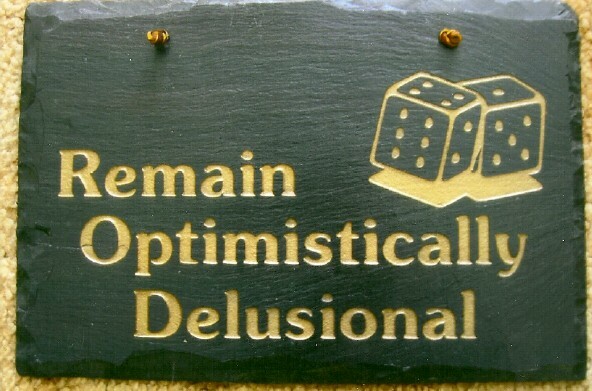 Delusion is a highly subjective concept because one human’s delusion or illogical belief may be another human’s truth and what is considered delusion is often merely a great deviation from the norm of social beliefs. Some examples of extreme delusions are that you think that you are the king of some country or that you are a popular figure such as Napoleon or Jesus. A more common pervasive delusion is that anyone can make money gambling. This entry was posted in common sense, education, science, society and tagged actively defended, belief, common sense, convinced, deceptive, delusion, education, illogical, language, science, society, the truth about delusion, words on November 7, 2015 by uldissprogis.